Safety First USA, Inc. manufactures Xtreme Racing Products, useful tools for the sport of Sprint Car Racing. Pit Stop USA is The Online Motorsports Superstore! We feature Fuel Level Dipsticks at low everyday prices. Pit Stop USA is The Online Motorsports Superstore! We feature Magneto Static Timers at low everyday prices. Pit Stop USA is The Online Motorsports Superstore! We feature Static Timers at low everyday prices. Pit Stop USA is The Online Motorsports Superstore! We feature Tachometers at low everyday prices. Pit Stop USA is The Online Motorsports Superstore! We feature Torsion Stops at low everyday prices. Pit Stop USA is The Online Motorsports Superstore! Safety First USA, Inc. manufactures Xtreme Racing Products, useful tools for the sport of Sprint Car Racing. 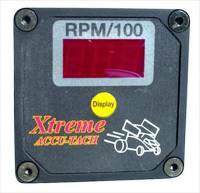 We offer Xtreme Racing Products at low everyday prices.